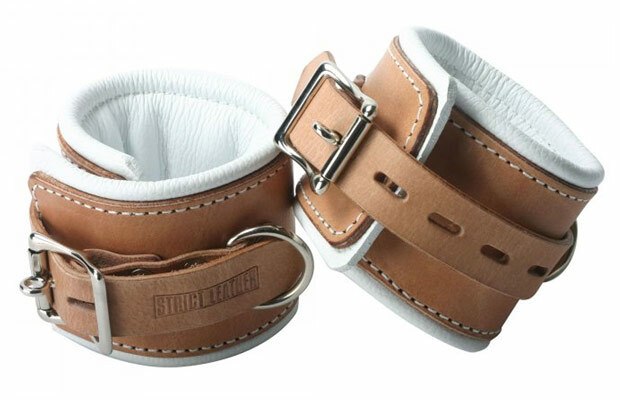 Lock your sub down in these stylish and comfortable Strict Leather Padded Hospital Style Cuffs. Made from high quality light brown leather with padding on the inside lined with white leather for superior comfort. Each set has 5 notches so you have a wide range to find the perfect fit. You can rest assure that when you place you sub in these cuffs, there will be no getting out.